I’m starting to make some mobile websites. So want to write down some resources which seem to be useful for me. First of all this ProtoFluid site can show a mobile site with both orientations (portrait and landscape) and for different size devices. To start just click on screen and then “add” when menu appeared at the bottom. 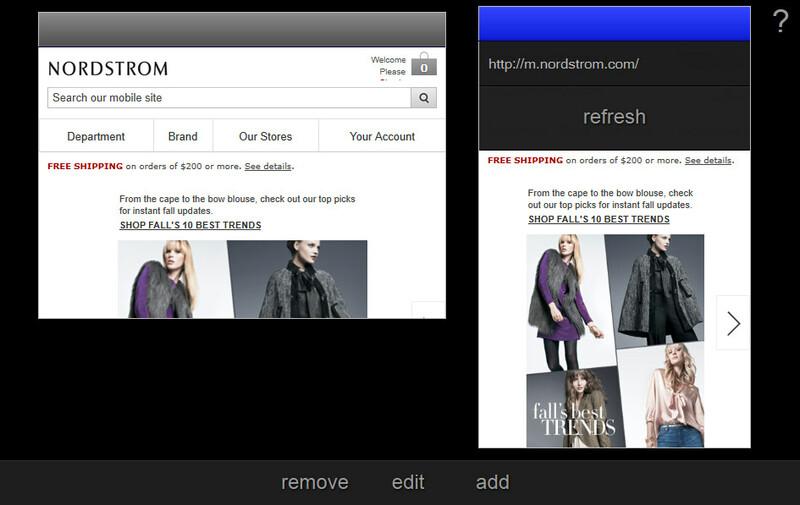 Insert a mobile site url, then you may click edit to add change size or orientation. We can add more then one window to check things. Here is more detailed instruction from its creator. This entry was posted in Mobile Websites and tagged html5 input types mobile orientation viewport. Bookmark the permalink. A wonderful job. Super helpful inofmratoin.